The Spanish economy is bottoming. It is a way to verbalize it, is highly unlikely, the GDP of Spain continues to fall. The Spanish economy is bottoming . It is a way to verbalize it , is highly unlikely, the GDP of Spain continues to fall . Before you start writing , I have reviewed some thirty current economic reports , themselves and others. The temptation is overwhelming data-rich . However, I tend to think that both the opinion leaders and the general population in our country , are a bit fed up with both numbers , especially economic. People are looking forward to a headline that gives us the certainty that the economic crisis is at an end : almost certainly , one can say that by the end of 2013 , the economy of Spain will cease to be negative . And , in 2014 , and during the next five years , we can expect a growing trend to economic stabilization of Spain . Worth refine what we are saying . The first step toward economic recovery is that gross domestic product ceases to be negative , ie stop destroying wealth and at the same time , put the foundations for you to generate business. The latest forecasts from the Government of Spain , and of all economic studies services without exception , show that the decrease of GDP going slowing as the year progresses . Increasingly less wealth is destroyed . A look at the latest data from the National Statistics Institute ( INE ) , covering the first half of the year, still shows that most of the economic indicators , both supply and demand are negative, but an increasing less negative . One thing stands out as increasingly positive : exports , which account for more than 7% over the previous year . It is true that domestic demand does not just boot : household consumption , government consumption and investment, continue with negative ratios . Everything is explained , after more than five years of economic crisis . The household consumption is directly related to the level of disposable income , with household debt , with the employment status of individuals, with their ability to save and current and future perception that people have on the economy in general and their individual financial situation . On the level of disposable income, the Bank of Spain says , in his Survey of Economic and Financial Wealth of Families Spanish , which , in 2013 , in general, are 10% poorer than five years ago. At the same time , labor costs have been reduced over time, both the wage , for the lowest cost of redundancy payments . Labor costs have fallen an average of 3.6 % , which has impacted negatively on the disposable income of individuals and families . The other side of the coin is that companies have increased productivity and were able to pass on these lower costs in the prices of their products, more easily sold outside Spain , which explains , in part, the increase in exports . Among all of 2012 , and so far in 2013 , the number of exporting firms has risen by 30% and there are more than 130,000 Spanish companies that sell products and services outside of Spain . In almost all sectors and in many ways. A good example is the field of infrastructure : today, the first company in the world is Spanish infrastructure management , Abertis , with a strong presence in Brazil and other Latin American countries , and now , with an eye on the United States and other English-speaking markets . Telefónica has established itself as the first telecommunications company in Europe after German business operations ( KPN ) and Italy (Telecom Italia ) . El Corte Ingles launches himself to a process of expansion in Europe , making use of electronic commerce. And a purely Spanish bank , the first , Caixa Bank ( the Group La Caixa ) , receives the award for best bank in the world in technological innovation, by Euromoney . Santander and BBVA expanding outside Spain . The examples are many. Fundamentally , affect , or are success stories , featuring large companies. The challenge is that the next group of companies that export , is that of SMEs , which account for 99 % of our business , and support for 63 % of employment. The government consumption still can not grow : Spain must meet strict targets public deficit , agreed with Brussels ( 6.5 % of GDP this year) and , although the Prime Minister has announced that , “this year , no more cuts ” in public spending as planned, it is also true that public investment will end the year at low levels. Even from many areas – especially private – , requests the Government to enter into the merits of the public deficit , simplifying a lot , can be summarized in excess of government , and too many officials . Some government reforms ( market unit law and law of public administration reform , etc.) should help streamline the public sector making it more effective and efficient , while favoring business and trade between the regions . But even so , in the short term , not notice the positive effects of these reforms on the economy. Moreover, the government , in its update of the Stabilization Plan and Reforms April 26 , developed a scenario , which could be expected under positive effects on the economy , the result of the reforms, over a period of ten years. The labor reform and financial reform are good examples. The labor reform has not prevented the unemployment rate reached in the first quarter of 2013 , to 27.16 % of the population, but has declined to 26.26% in the second quarter . Spain remains one of the countries with the highest percentage of unemployed in the developed world (OECD ) . We than Greece, for example , in this bad data . But the unemployment rate in the euro area is 12.1 % , that of Germany , the country of reference in Europe is 5.4 % and the United States , which aims to achieve full employment in 2016 , today , is 7.3 % . The unemployment rate is not an abstract data : is so bloated that , according to polls Sociological Research Center , CIS – almost all Spanish families know a relative, friend or neighbor who is at unemployment situation . In absolute terms , according to the Labour Force Survey (LFS , which gives us the official unemployment data ) , there are nearly six million unemployed in Spain . And the Public Employment Service ( SPEE , former INEM ) have recorded something less than five million unemployed. The costs for the State unemployment benefits are starting very high public spending , such as pension payments or interest on public debt : debt that reached 92.2 % of GDP , very worrying . The very high unemployment rate means, in sociological and psychological terms , that many millions of people fall into despair . A million Spanish families , according to INE , have all their members unemployed . Thank God that in Spain , there is the Catholic Church , Caritas , foundations and an entire third sector to help alleviate the dramatic situations that result from the high rate of unemployment. But above all, the existence of strong intergenerational family ties that sustains the system , preventing a total breakdown between general population and what whites called the “establishment” . A recent study quantified the La Caixa economy in 18.9 % of GDP. Otherwise , it is explained that , in Spain , there is a social explosion . And yet , without labor reform, in its first year of implementation (entered into force in February 2012) , it would have destroyed one million additional jobs , and so far this year , some 267,000 jobs. The companies have greater flexibility to accommodate their costs : wage cuts, for example, in exchange for maintaining employment. As a result of the labor reform, Spain create jobs when economic growth at least 1%. High unemployment and household debt ( 32% of disposable income , for example , on average, goes to pay the mortgage) , can not see the current economic reality and future with optimism. Another thing is that we know the macroeconomic data encourage us to think that we are bottoming in the fall : how else can you keep falling ? Take for instance the financial sector. In 2009 started the reform of the financial system . Reduced the number of entities, some have been nationalized . But banks today are stronger and this is essential for the maintenance of the entire economic system is impossible unfunded business there . It has required banks to strengthen their balance sheets. Those of capital and reserves . There is more oversight to prevent banks take high-risk operations that will endanger them and therefore their customers . If he had not saved the Spanish financial system , in June 2012 , with almost 40,000 million euros from Europe (the result of the Memorandum of Understanding , which granted to 100,000 million Euros to banks , until December of this year ) it is highly probable that troubled banks have pushed the sector and the whole economy down. That had to be avoided at all costs , as was done in the United States between 2008 and 2009 , ” rescuing ” the great investment banking : today the top five U.S. banks have increased in size by 30% and have assets equivalent to 56 % U.S. GDP , growing at a rate of 2.5 % on average and generates 190,000 jobs a month . It is necessary that now flow bank financing to SMEs in Spain . United States can lead the way to recovery, also because of its commitment to certain production models . North America boosts the knowledge society , and 10% of the public support the famous ” economic stimulus package Obama or Recovery Act” (February 2009 ) was earmarked for investment in information technology by American companies. This is one of the key factors explaining why the United States has grown three times more than Europe since June 2009 , when America abandoned the recession. This should be an incentive for the Spanish government firmly committed to boost its Digital Agenda , which goes in the same direction . In this way , could be achieved by making companies more competitive via productivity gains in their processes, and not just by reducing labor costs . Japan , with its stimulus policies Prime Minister Shinzo Abe , is on the same path , with growth of 3.5 % and 4.1 % of its GDP , in the first and second quarters of the year . The commitment to the industry is highly necessary . The fastest growing countries , have potent secondary sectors . This happens in American cases , German or Japanese , where the industry an average of 24 % of GDP. In contrast, in Spain , today , is 15% (data from INE ) or 13% (data from Eurostat , which uses a different methodology of measurement). In any case , industry and manufacturing are essential to create wealth and get out of the crisis. United States has thirty-two ( 32 ) economic engines : information technology ( West Coast) , entertainment and recreation (California ), tourism (Florida, California ) , game ( Nevada) , finance (East Coast , Boston , New York ) , automotive ( Detroit ), energy ( Texas , Gulf of Mexico ) , etc. . All this together , forms a GDP , where private consumption accounts for 71 % . And consumption , based on trust, pushes the output and employment : a virtuous circle we need in Spain . The key issue is that , in each of these economic engines , no manufacturing. And every job created in manufacturing, generates four support jobs . In the case of information technology , for each job created in production , are generated sixteen other support . It is what in economics is called a ” jobs multiplier ” . In Spain there are many unknowns . Knowing that this year decreceremos less than expected ( – 1.2% ? ) That the unemployment rate will be around 26 % , and next year the economy will be positive ( + 0.7 ? ? ) Are data indicating that the worst of the crisis could be left behind. You have to know , we want to know if the economy will be flat and will not create jobs in ten years , or, on the contrary , strong revulsivos will drive growth . Construction was the great engine of economic growth between 1998 and 2007 . Possibly , this does not happen again , but we do know some positive signs : the housing prices still falling, but less (-12.7 % ) . Foreign investment begins to come to our country : more than 150,000 million desiring to be invested . Projects like Eurovegas (17,000 million euros and 260,000 jobs ) could come to Spain and stimulate the economy . Institutional investors start buying large lots of houses. The geopolitical crisis in many Arab countries ( North Africa , Egypt , Syria , etc. ) stimulates our tourism , which accounts for over 10% of GDP , and in August 2013 , has experienced its best month ever , with more than 42 million visitors so far this year. Remains to be done , in terms of stimulating economic growth and job creation . This will be discussed in future stands. For now, at least, they are laying the groundwork for the economy stabilizes , a sine qua non , to re-grow . 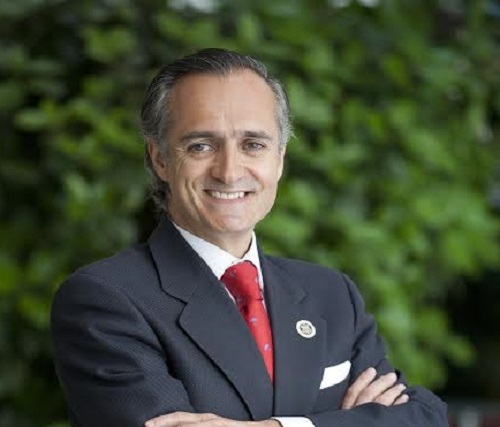 Jorge Díaz-Cardiel, Managing Partner ADVICE Strategic Consultants , author of Success With or without a crisis, and Reinventing Obama.. Previously published in The Confidential Digital..